Eastwood Dental's team include a number of dentists, dental assistants, and support staff. Each of our team members is hand-picked for their professional and personable qualities to ensure your experience at Eastwood Dental is as seamless as possible. Our practice combines the latest technology with great skills and experience which will help you restore health, function, and aesthetics of your teeth and gum. 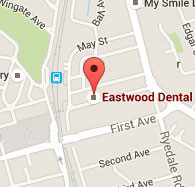 For 15 years we have provided the Eastwood and wider Sydney community with quality dental care. Most of our patients have been referred to us by word of mouth from our existing patients. Our reputation is based on our caring and professional approach which ensures patients stay with us for life! Learn more about our team at Eastwood Dental. Eastwood Dental maintains high attention to detail to all treatments and procedures to ensure quality care and patient safety. This means that we make sure the surrounding structures of the teeth (gum and bone) are sound and healthy before major restorative treatment is performed. This includes personalised oral hygiene treatment and thorough patient education. This meticulous care is vital for delicate procedures including dental implant placement and preparation for crowns, bridges and large fillings. For more information on our treatments and procedures, contact us today. New to Eastwood Dental? Find out what to expect. Get all the latest news, including tips on how to maintain optimal oral health with Eastwood Dental's blog. Our team includes dentists, dental assistants and support staff. Each of our team members are hand-picked for their professional and personable skills to ensure a seamless experience.